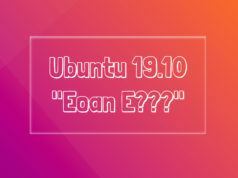 Let's bring some more Tux to Ubuntu. 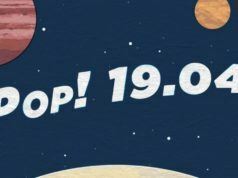 Short Bytes: If you’re a big fan of Linux kernel’s official mascot Tux, then this open source tool is like a perfect new year gift for you. 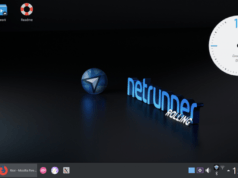 Using the command line, Tux4Ubuntu tool allows you to install Tux themes, icons, wallpapers, games, and even put Tux on the boot loader of your Linux distribution. 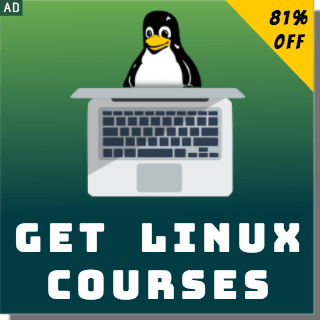 Tux is the official mascot of Linux. He is named so because the penguin looks as if he is wearing a tuxedo. Tux isn’t much visible on various distributions that borrow the Linux kernel as their base. Tux4Ubuntu is a project aimed at bringing Tux to the never before places in the Ubuntu Linux distribution. 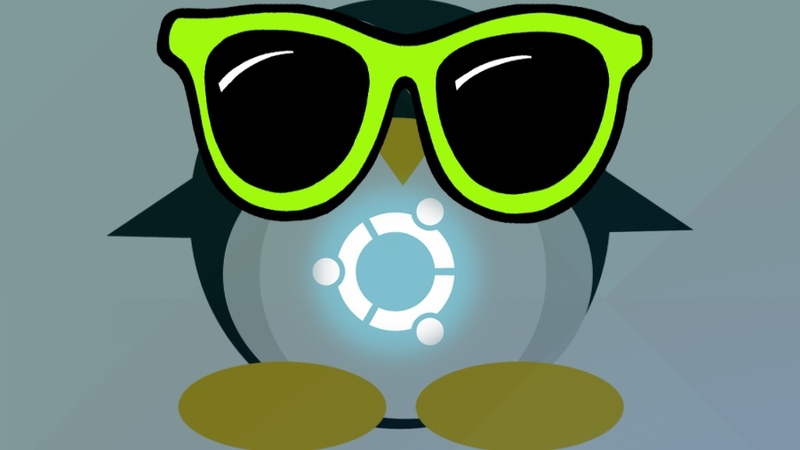 “We want to bring Tux, the Linux penguin, to Ubuntu! From boot to desktop we’ve created themes that include Tux in all the right places,” says the team behind the Tux4Ubuntu project. The free and open source Tux4Ubuntu tool allow you to install Tux themes and skins on Ubuntu 16.04 (and above) using the command line. You can view changes from the moment your Linux distro powers up and displays the boot loader screen and all the way to Tux-themed login screen, icons, fonts, wallpapers, etc. You can choose anyone by typing the respective number and pressing Enter key. After this, it displays a short description of the selected feature. Read it carefully before proceeding further. You can install all the things at once or only the things you like. Run the command later on to add more things. 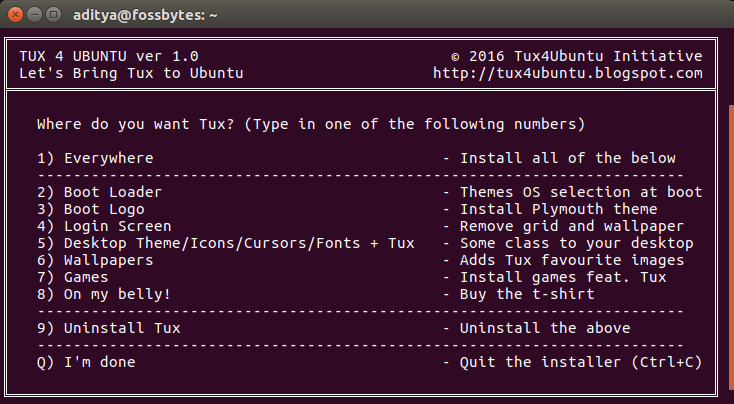 To revert the changes you have made, choose Uninstall Tux option. Making changes to the bootloader might mess with your system and prevent it from booting. So, do it wisely. If you ended up breaking something in the bootloader, you can take the help of the troubleshooting guide created by the team. You can visit the project’s official blog post to know more about Tux4Ubuntu. It is also available on GitHub. Also Read: What If Operating Systems Like Linux And Windows Were Airlines?